Bedford Town host a Stevenage XI in their latest pre-season friendly on Saturday. 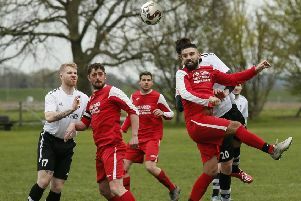 On Tuesday St Ives Town was the destination and they came away with a 2-2 draw despite playing a chunk of the match with ten men after Kyjuon Marsh-Brown was dismissed for a push in the face. Town are due to make the short journey to face Bedford FC tonight (Thursday). Kempston Rovers enjoyed a 2-0 victory over a Luton Town XI at Hillgrounds on Friday. Jamaine Ivy pounced on a fumble by the Hatters keeper to put the Walnut Boys ahead after just 12 minutes. Sam Macrae then fired home the second midway through the second half to seal victory. Kempston travel to Olney Town tonight (Thursday). Southern League Premier neighbours Biggleswade Town are the visitors to Hillgrounds on Saturday, before they travel to Leighton Town on Tuesday, August 1.